Yes, the green floating thing gets his moment to shine, and my god, does it rule. Doop has always been one of the stranger Marvel characters of the past ten years, and also one of my favorites. From his start in the Peter Milligan and Mike Allred X-Force run, Doop has always been beloved by fans for his strange nature. Like an R-rated Slimer, when it comes to Doop, you never know what you’re going to get, and this issue has hilarious out of left field moments to spare. I won’t spoil them here, but it makes me wish for some sort of Doop mini-series written by Jason Aaron. His timing in his script is amazing, more so when you factor in the fact that we have no idea what Doop is saying in his language. Doop’s co-creator Mike Allred handles the pencil duties in this issue, and his panels had me crying with laughter. From the opening splash page of Doop passed out at his desk (which is my new facebook cover photo), to his , “unconventional” ways of protecting the school, Allred nails the comedic moments just as much as Jason Aaron does. I’m firmly in the “love it” side when it comes to Allred and his work, but I honestly think that even the staunchest Allred haters would find it hard to hate this book. Wolverine and the X-Men #17 is the best single issue this year. It’s most definitely the funniest, and thanks to it, I’m now going back and filling in the gaps of my Wolverine and the X-Men collection, and will be re-subscribing to the series. If that’s not the sign of a fantastic issue, I don’t know what is. From the pages of Scott Snyder and Greg Capullo’s phenomenal Batman comes Talon, the only man to ever escape the clutches of the Court Of Owls. Telling the tale of Calvin Rose, a young man with a very difficult past, Snyder, co-writer James Tynion IV, and artist Guillem March not only introduce us to a new Batman character, but also add to the mystery of the Court as well. Calvin Rose has not had a good upbringing. When we’re first introduced to him, he’s a child locked in a kennel by his father. After escaping and finding Haley’s Circus, Rose learns the tricks of the Escape Artist trade, and starts using them in an act for the circus. Of course, all this changes when he gets to Gotham, where the dark connection between the Court and the Circus once again comes into play. Calvin is taken in by the Court, who then train him to become their newest Talon which builds to a fantastic sequence in the still unsettling labyrinth. However, after a change of heart during his first mission, Rose goes on the run, and for the past five years has been trying to survive while being hunted. That is, until now, when the Court is now being more aggressive in their search for Calvin. Scott Snyder and James Tynion IV have a really well-paced origin for our hero. In many ways Calvin Rose reminds me of Jean Paul Valley, the original Azrael, but with his own twist. It’s also commendable that Snyder and Tynion came up with a way to show us more of the inner workings of the Court Of Owls, but also keeping a mysterious quality about them. Guillem March’s art is different, but still within his style for this book. Perhaps it’s because I’m more used to his work on Gotham City Sirens and Catwoman, but I was very impressed with his line work, and he creates some really striking images throughout the issue. Talon #0 has gotten the ball rolling on this new character, and I’ll definitely be picking up the first issue next month. Full spoilers for Avengers vs. X-Men ahead! I waited a week to do this column, so if you still haven’t read issue 11, READ AT YOUR OWN RISK! He’s dead. If you somehow haven’t heard by now, Professor Charles Xavier has bitten the big one, and gone to that big wheelchair in the sky. Yes, it’s been done before (five times before actually), but the death of Prof. X in the penultimate chapter of Avengers vs. X-Men actually matters. No really, it does! Think about it, what has Professor X done since “House Of M”? Aside from being revealed as a member of the Illuminati, throwing Hulk into space, and lying to Scott Summers about his brother Vulcan, not a whole lot. In fact, those stories I just mentioned occurred almost immediately after “HOM”, which also gave him the use of his legs again for some reason. For years now Xavier has been a secondary character, showing up to express his disdain to Scott Summers over how he has been leading the few mutants left alive, or to occasionally bicker with Magneto. Charles Xavier will do way more good dead in the Marvel universe than he does alive. As the most well known face of the mutant rights movement, his death could potentially cause something positive to happen for Marvel’s mutants for once. Or probably cause humans to freak out again thanks to Cyclops’ “phoenix phreak out”. Speaking of Cyclops, holy crap, is this going to do a number on him. In fact, this put him in an extremely interesting position, providing he survives Avengers vs. X-Men. My money says he will, since he’s on the Marvel Now! promo poster in a shiny new costume (which now makes a little more sense after seeing the events of this issue). While there are some interesting aspects to the current Cyclops, the upcoming All-New X-Men series is now suddenly on my radar, mainly because it will be interesting to see how a younger Scott Summers reacts to a world not only with Professor X dead, but with his future self being the one that killed. Of course, this could all go “Daredevil in Shadowland” on us real quick and make it so Cyclops can’t be held completely responsible for his actions. While it’s most likely that Marvel will play this card, I do want to see them actually make a character go bad and stick with it. Sure, Summers will definitely feel extremely guilty over killing Xavier (again, if he survives), but in the end, it would be even more powerful if we find out that Cyclops is more in control of the Phoenix than we realized. Quick thing before I wrap this up: how awesome was Olivier Coipel’s art? My god. From the opening pages of Captain America recruiting Hulk, to the amazing splash page revealing the Avengers holding back Cyclops, Coipel really stepped up and delivered the goods with this issue. Even if you had the events of the book spoiled for you, or were dismayed that this was the 6th time Professor X died, this was a great read, and easily the best issue so far. 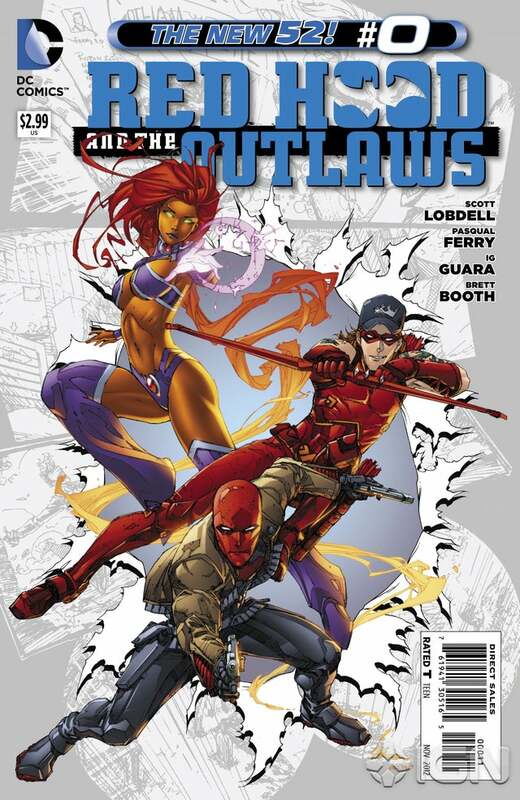 Comic Reviews: Spider-Men and Red Hood and The Outlaws! The meeting of the Ultimate and 616 Marvel universe concludes with this issue, and man, what a ride. Brian Michael Bendis and Sarah Pichelli’s Spider-Men limited series may have been light on action in parts, but man was it a great character study of both incarnations of Marvel’s flagship hero. Seeing Peter Parker and Miles Morales meet was a surprisingly moving experience that has a great (if maddening) last panel. I’ll give the haters that it does seem a bit of a rushed last issue, but at the same time, I don’t care. For me this miniseries was less of a “Spidey team-up against Mysterio” tale than a meeting of a kid who gets the ability to meet his hero, and that hero’s reaction to the impact he leaves when he dies. The fact that our Peter Parker is seeing a world where not only everyone knows his secret identity, but where he’s also dead is still a great hook, and I hope it’ll have an impact on his world over in Amazing Spider-Man. One can already tell how much of an impact this will have on Miles Morales’ life, and the scenes at the end of the issue where the two Spider-Men defeat Mysterio are incredibly awesome, but even more so is the moment at the end with Peter giving advice to Miles. Seeing Miles act like the 13 year-old in awe of Spider-Man that he is was really sweet, especially when he asks Peter for his blessing. Brian Michael Bendis’ script really shines here, absolutely nailing the points that you hoped he’d touch one when this book was first announced. Equally as impress is Sarah Pichelli’s artwork, which as always, is stunning. Her action scenes between Mysterio and Ultimates were phenemenal, my favorite being the layout depicting all of their worst fears after breathing in Mysterio’s “fear gas”. Bendis and Pichelli are a dynamite team and have created one of the best Spider-Man tales of all time, one that will hopefully be left alone and not diluted by a million sequels. Spidey fan or not, this series is a must read. Alright, confession time: of all of the DC “issue zeros”, the one I was looking forward to the most was this. Red Hood and The Outlaws started off as my guilty pleasure of the DC relaunch, but I’ve found that as the title has gone on I’ve really enjoyed it. Yes, it gets a little 90s sometimes, but I really enjoy Red Hood, even if I’m one of the only people on the planet who will admit it. I’ve been really curious as to how they will spin Jason Todd’s resurrection in the “New 52” landscape, and I have to say, I’m pleased with the result. While the way Batman comes across young Jason has been altered, his death has only been tweaked slightly. Scott Lobdell’s new spin on Jason’s life makes him more of a tragic figure than in the past, and almost makes you understand why he was such a brat as Robin. Of course, the streamlined continuity to fit all of these Robins is pretty confusing, but at the same time, I tend not to get too hung up on it (and neither should you, to be honest). Pasqual Ferry takes over from Kenneth Rocafort for this issue, and while his art is fine, he’s no Rocafort. His early panels of Batman are a little weird looking, but it eventually grew on me. The big reveal about Jason’s return to the land of the living is exactly what I was hoping for, and there’s even another little cool twist in the back up story that I really enjoyed. For those who were upset by Jason’s return thanks to a “super-punch” last go-around, this issue will alleviate those feelings. I love comic book conventions. Sure, I’ve only been to a handful of them, but they are an absolutely overwhelming blast to attend, and I intend on going to many, many more. Unfortunately, the Holy Grail for me is also the one convention that’s next to impossible to get to: San Diego. However, thanks to producers Stan Lee, Harry Knowles, Joss Whedon, and Morgan Spurlock (who also directs), I can at least get a taste of the granddaddy of all conventions. Comic-Con Episode IV: A Fan’s Hope is an extremely entertaining and heart-warming look into the best place on the planet for geeks. With hundreds of testimonials from everyone from Todd McFarlane and Matt Fraction to Olivia Wilde, the doc really gets to the heart of the convention and more importantly, the fans who love this stuff. A Fan’s Hope follows a crew of fans all going to the con for specific reasons: some are going to make a name for themselves as illustrators and costume designers, some to make life-altering decisions, and others are looking to score that special limited edition action figure. And in the case of Mile High Comics Chuck Rozanski, some are looking to unload their treasures. Whomever the person, the one thing these people all have in common is the Con, and the things that it represents. In the hands of lesser people, this documentary could have easily mocked the people in it and the culture that they are a part of, but thankfully Spurlock knows more than most the appeal of the convention and how important it is. If there’s one criticism to be had with A Fan’s Hope, it’s that I really wished we could’ve gotten a little more time with the creators and celebrities interviewed. The sheer amount of people who appear in it is staggering, and I hope that there’s an extra somewhere on the DVD that has all (or almost all) of these interviews in full. Comic Con Episode IV: A Fan’s Hope is a love letter to geeks. It’s got a lot of heart, and is extremely inspiring. Many of us may never get to go to “Mecca of the Nerds”, but at least by watching this documentary we can get a taste of it. Comic Reviews: Team 7 and Avengers vs. X-Men! The wave of DC “Issue 0’s” isn’t just a way for the company to fill in gaps in time due to the reboot, it’s also being used to start up some new series as well. Case in point, this week’s Team 7. A cross between the DC Universe and Call Of Duty: Black Ops, T7 follows a team of government agents, mercenaries, and other assorted types that are formed together in order to control, command, and in some cases exterminate the growing amount of “metahumans” that have started popping up in the world. Taking place in “five years later” era of the new DCU (which is roughly around the same time that the Justice League formed and Superman showed up), we’re introduced to Agents Dinah Drake and Kurt Lance, two government operatives who we then follow as they recruit other members. The small vignettes that we see of each team member are really entertaining, and seeing characters like Deathstroke and Grifter “begin” is really cool, and adds some great cohesion to the “new 52” universe, something that’s definitely been a little lacking in this rebooted line. Much of this cool factor can be attributed to writer Justin Jordan, whom previously worked on The Strange Talent Of Luther Strode for Image, which was a fantastic read. Jordan’s entertaining script definitely packs in more than you can imagine, from the great dialogue to excellent moments showcasing how badass this can be. It’s awesome to see someone with creative talent working at the big two, and the premise behind Team 7 is rock solid enough that it should have no problem sustaining interest, especially if Jordan is still teamed with artist Jesus Merino. Merino’s work here is very dynamic, and there’s some great fluidity in his sequencing work. If more intro “zero issues” are like Team 7, then we’re in for a real treat once this next batch of DC titles starts up. Here we go! The big, penultimate throw down before the finale that “changes the Marvel universe forever” for the fifth time. While I had this events in this issue spoiled for me on twitter today (and had made an educated guess at what could happen a month ago), I still found this issue to be extremely entertaining, and easily the best of the series. Captain America assembles nearly everyone who’s been an Avenger to help him, starting with an excellent opening scene that proves once again how great Brian Michael Bendis can be when he’s on top of his game. Eventually the X-Men come to his side after realizing how insane Phoenix-Cyclops (Phoenixclops?) has been acting, and the two teams join forces in true Marvel fashion to take down this bigger and badder enemy. And it all ends with the death of…..
Nah I won’t be that guy. While this series has fallen into the classic “hero team-up” outline, this issue stands out thanks to Olivier Coipel’s stunning artwork. Yes, the man how left his drawing duties after one issue is back here, and you know what? I’m okay with him taking a break, cause the art is amazing in this issue. Simply jaw-dropping. There are at least 3 pages from this book that I will be hunting down as prints at the next convention I go to, they’re that good. Avengers vs. X-Men #11 is a stunning chapter in the series, and for the first time since issue 5 I’m eagerly awaiting the next issue. I have a confession to make: up until now, I had never finished Y: The Last Man. My old roommate had the first 6 trades, and I devoured them. But then he told me that he had the other issues on his computer in PDF format. “Comics on a computer screen?” I scoffed, and vowed to pick up the other trades to complete the story. Flash forward two years later, and I have all five hardcover collections in my possession. Flash forward another few months and I’ve finally finished Brian K. Vaughn’s stunning epic, and after my re-read and first read of the final books, I can say one thing: This book deserves every accolade it gets. Yes, I’m about five years late to the party, but just imagine it’s 2008 for the rest of this column. For those still in the dark, Y: The Last Man follows the adventures of Yorick Brown, the (obviously) last surviving man after a mysterious plague wipes out everything with a Y chromosome. Everything. Men, dogs, cats, fish, moose, etc. If it had a wiener, it was dead. Along with the mysterious Agent 355, geneticist/cloning expert Dr. Alison Mann, and his pet capuchin Ampersand, he sets out to not only find the cause of the plague and why he was spared, but also find his fiancé, who he last knew was in Australia. The plot sounds simple, and that may be true, but Y definitely fits into the “it’s not the destination, but he journey” motif that has been used so much it’s a cliché. But it’s true, Yorick’s journey is fantastic, and is clearly one of the crowning achievements in sequential art/comics/ graphic novels/whatever. It’s a masterpiece of storytelling not just due to Brian K. Vaughn’s writing, but Pia Guerra’s art as well. Even when Guerra wasn’t doing the art duties for Vaughn, the fill in artists’ styles were near identical to his. There are few comic teams that work this well together, and yet when they do, it’s magic. For a long time, I’ve heard Y: The Last Man being thrown around onto not only “Best Comics of the Last Decade” lists, but “Of All Time” as well. After reading it, and letting it digest for a little bit, I can honestly say it deserves to be on those “Best of Lists”. It’s truly a fantastic tale that proves just how amazing and legitimate comic books are as a storytelling medium. In fact, it’s a story that really can ONLY be told this way, although Hollywood has sure tried their hand at getting it off the ground (hint: follow The Walking Dead’s example and go TV, there’s no way you could fit this all into one movie). I guess the point of this rambling column is this: Go read Y: The Last Man. If you already have, dig out the hardcovers/trades/single issues and read them again. Savor it. Love it. And most importantly, share it with others the next time they say “comics are for kids” and show them how awesome comics really are. Comic Reviews: Green Lantern and Amazing Spider-Man! I know what you’re saying: “wait, didn’t you say last week that you were going to be dropping Green Lantern after the annual?” Well yes, that is true. However, my curiosity got the better of me and I wanted to see how this new Green Lantern would pan out before I completely wrote it off. Yes, the fact that he’s using a gun on the cover drives me a little nuts, but at the same time, I want to check it out. So, how was it? However, those expecting to see Simon Baz in full Green Lantern mode will be disappointed. Instead of seeing him in full ring-slingin’ mode, writer Geoff Johns and artist Doug Mahnke show us Baz’s life before and just leading up to the ring choosing him as the successor of Sinestro. Starting with a fantastic opening showing us Baz’s difficult childhood, the issue then shifts to Baz being chased by police. We quickly learn that he’s started boosting cars to help support his sister and her son after the death of her husband, who died in a drag race that Baz was a part of. After noticing a bomb in the back seat, and with the cops closing in, Baz calls her to explain what’s happened. However, at the last minute, he bails out of the car, letting it explode, which, while saving his life, allows him to be taken in by the police. The cops and federal agents refuse to believe Baz’ protests that he’s not a part of a terrorist cell, and when he’s about to be interrogated again, a familiar green object explodes through the room, carrying Baz away. This zero issue does a great job of introducing us to Simon Baz the man, even if we never see the Simon Baz, Green Lantern that’s depicted on the cover. While I think it’s awesome that Johns and Mahnke are giving us a new take on Green Lantern, I would’ve liked some inkling or preview of Baz as a Green Lantern. It’s a cool story (bro), and of course, the tease in the epilogue tells us something that we all knew was going to happen, but I felt the issue was a little lacking in the GL department. However, this is a great character study issue that fans of Johns’ ongoing saga should not miss. After last issue’s introduction of Spidey’s new sidekick Alpha, I was hoping that he would fall into the Damian Wayne territory of sidekicks. Unfortunately it’s becoming more and more likely that he’s going to be in the “Jason Todd” category. I really like the instances where Spider-Man is struggling to figure out how to train this cocky kid, but whenever Alpha shows up I just want to punch him. But I think that may be Dan Slott’s point: showing us how differently Peter Parker could have been if he didn’t have the support that he had growing up. Peter himself makes this assumption at one point in the issue, and it’s my hope that Alpha can make a turn around over the course of this storyline, cause if not I want him to take a big ol’ dirtnap. Also, with this issue, Humberto Ramos has become one of my favorite Spidey artists. He’s simply awesome, and the scene where peter goes to Mary Jane at her nightclub to vent is my favorite in the issue. It’s a great nod to what they used to be, and what they (hopefully) will be in the future. Unfortunately the Spider-Man segments of this issue aren’t as great. Jackal kidnapping Alpha and his family to make a super clone army of him was alright, but I feel like I missed the issue where Jackal turned the crazy up to 11. I also forget how he came back to life at the beginning of “Spider-Island”, but I digress. 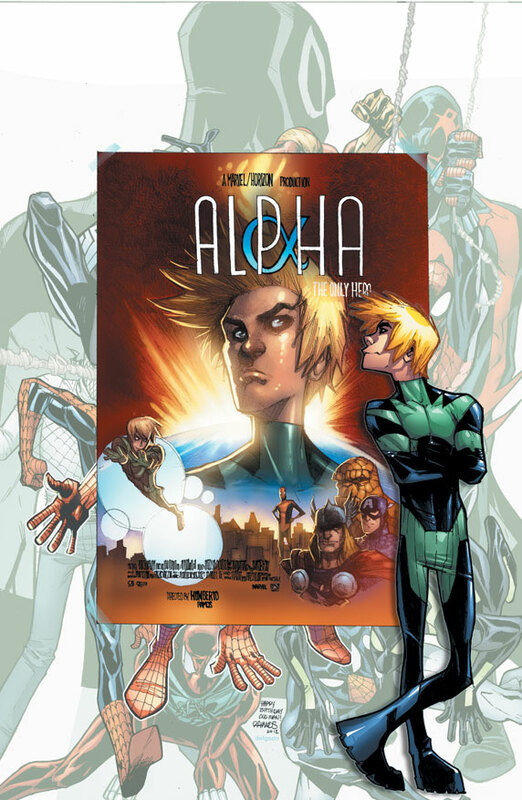 After the Jackal is (surprisingly quickly) dealt with, Peter decides that it’s time to take Alpha’s powers from him, and while it may seem out of character for him to deceive this young kid with an Avengers membership, I really want Alpha out of here. Like I said earlier, he’s gotta take a complete 180 for me to see him lasting for longer than this storyline. The summer is over. Face it. We’ve had sweltering hot days, pool parties, BBQ’s, and of course, awesome summer movies. But with so many hitting our multiplexes this year, which ones came out on top? And more importantly, which comic book film is going to rule the school? NOTE: These are movies I SAW this summer, hence why some “major” ones (like Battleship) are left out. Even I have my limits. Yes, Amazing Spider-man rebooted a movie universe that was barely five years old, but director Marc Webb absolutely nailed Peter Parker’s teenage years. In my opinion, The Amazing Spider-man skewed closer to the comics than any previous film. The inclusion of mechanical web shooters, Peter’s science background, and the classic “Spidey banter” made this a more enjoyable experience for me than Spidey’s last big screen adventure. It goes without saying that Andrew Garfield is waaaay more in line with who Peter Parker is than Tobey Maguire. The action scenes could’ve been a little tighter, but watching Parker meet Gwen Stacy was one of the best things to see this summer, and Martin Sheen was heartbreaking as Uncle Ben. Emma Stone was perfection as Gwen Stacy, and the 3-D of Spider-Man swinging through New York City was spectacular. It wasn’t a perfect film, and the “during credits scene” was confusing, but with Spidey’s origin out of the way, I strongly believe that Amazing Spider-Man 2 (or Spectacular Spider-Man) will be even better, as long as Green Goblin doesn’t look like a power ranger. Expendables 2 is everything the original movie should’ve been. From the cast to the size of the explosions, everything in Stallone’s second action opus is bigger, louder, and bloodier. This film is crazy amounts of fun, and seeing Stallone, Schwarzenegger, and Willis on the big screen together is a blast. Chuck your film theory classes out the door, cause this film will blow a rocket through your theories. Pixar’s latest film did something no other Pixar film could: it failed to make me blubber like a baby. Yes, this grown man somehow emotionally shuts down every summer Pixar releases a new film. Brave featured the first female lead in a Pixar film, and while any Pixar film is still better than most movies released in a given year, it failed to live up to the instant classic status of Up or Wall-E. Still, it’s the best animated movie I’ve seen this far this year. There was no way Christopher Nolan could top The Dark Knight. There just wasn’t. 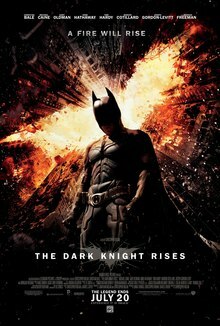 What Nolan could do though was deliver a satisfying conclusion to his take on the Dark Knight. Rises is an epic film, covering nearly 3 hours, and introduces a ton of new characters into Bruce Wayne’s world. Yes, there are some instances where characters show up in convenient places, but at the same time, this is an anomaly of the film world: a big budget franchise where the director had complete freedom for the entire series. Nolan’s films have given us something we’ll never get in Batman comics: an ending. Will Ferrell vs. Zach Galifianakis. What more needs to be said? Step Brothers and Anchorman may be the crown jewels of the Ferrell comedies, but with time The Campaign will probably fit right in. Definitely a must see, but be warned: it’s much raunchier than the trailers ever let on. Yes, I saw Dark Shadows. My mom is a HUGE fan of the show, and seeing as how I had no idea what to get her on Mother’s Day, I took her to this. Having only a rudimentary knowledge of the Shadows universe, I enjoyed the film, but definitely see that there were too many cooks in the kitchen plot wise. With numerous plots going on at once, none are really given time to breathe. Plus the b-plot involving Johnny Depp’s Barnabus’ ladylove being reincarnated as the new maid of the house really should’ve been a larger story than it was. The movie that kicked off the summer remains the best of the summer. Really the only movie that comes close to it from this season was Dark Knight Rises, and while Nolan’s swan song is an incredible film, watching The Avengers is something that we’ll tell our grandkids about. In many ways, seeing Avengers was probably very similar to seeing the original Star Wars for the first time. Full of fantastic moments and excellent characters, The Avengers not only showed the world how awesome comic books are, but also what a mad genius Joss Whedon is.